For most of the country, this week has looked more like early spring — with very little snow and even a few tornadoes in Florida. That spring-like forecast is about to change next week on a day most people are looking to a groundhog for their winter forecast . Meteorologists across the country have been talking about this since the beginning of the week. 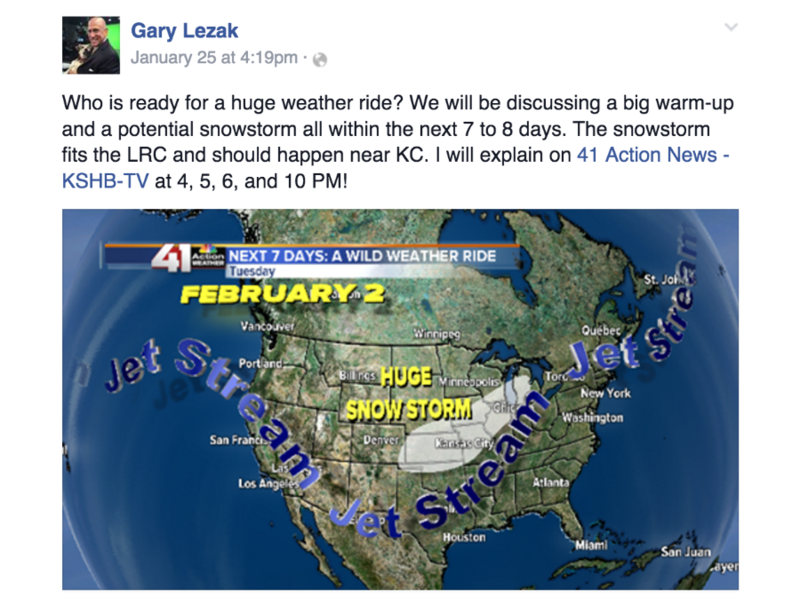 On Monday, Chief Meteorologist Meteorologist Gary Lezak at KSHB in Kansas City was talking about a "huge weather ride" for next week. 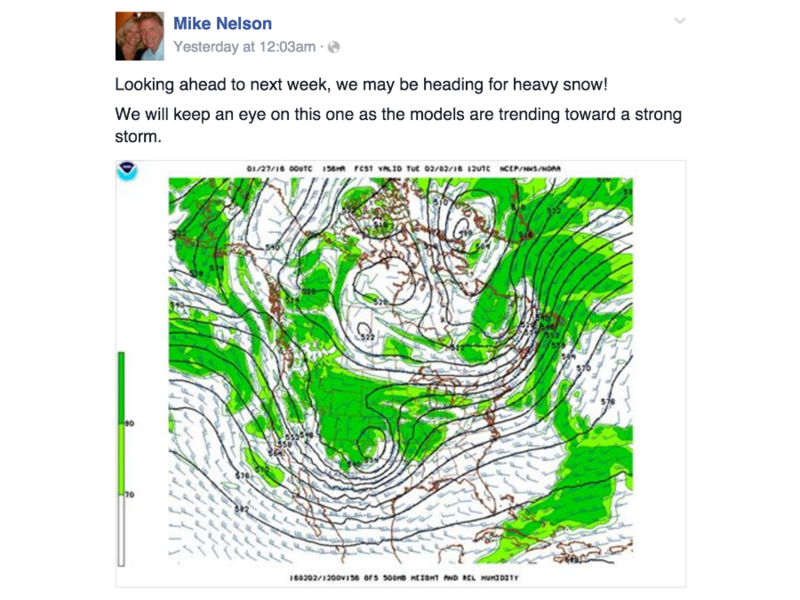 A couple days later, Chief Meteorologist Mike Nelson at KMGH in Denver mentioned "heavy snow." They're right to start talking about this one early, too. The forecast models have been consistently hinting at a very strong low pressure system sweeping across the middle of the country. The low is expected to develop in the Four Corners region early next week before quickly advancing across the country, bringing heavy rain, snow, and strong winds. 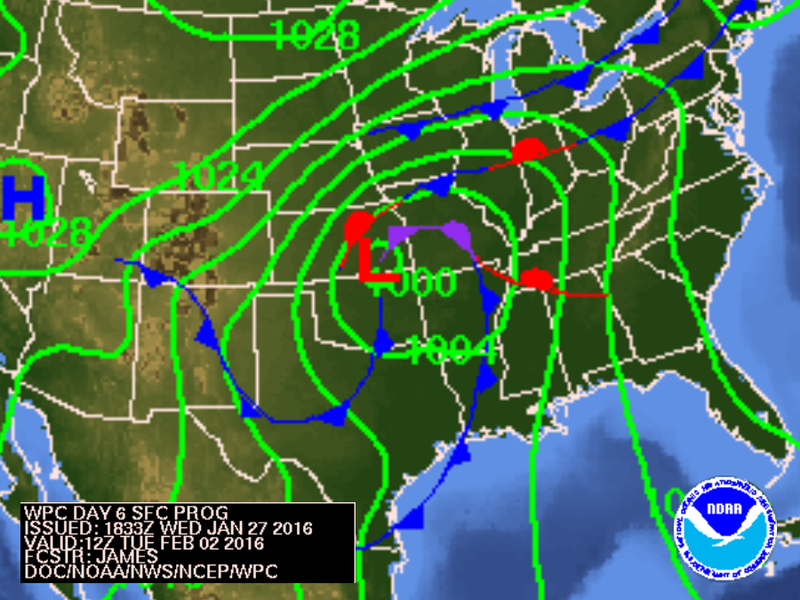 On the morning of Groundhog Day — Tuesday next week — this system is expected to be centered over the middle of the country, dropping snow behind it from Colorado to Iowa and rain ahead of it in the Southern Plains and into the Midwest. While it's still too early to pinpoint the rain-snow line and exactly how much snow will fall, one thing we know for sure is this will be a significant storm affecting states across the country from the Rocky Mountains to the Midwest and everywhere in between. Some places are beginning to make snowfall total predictions. 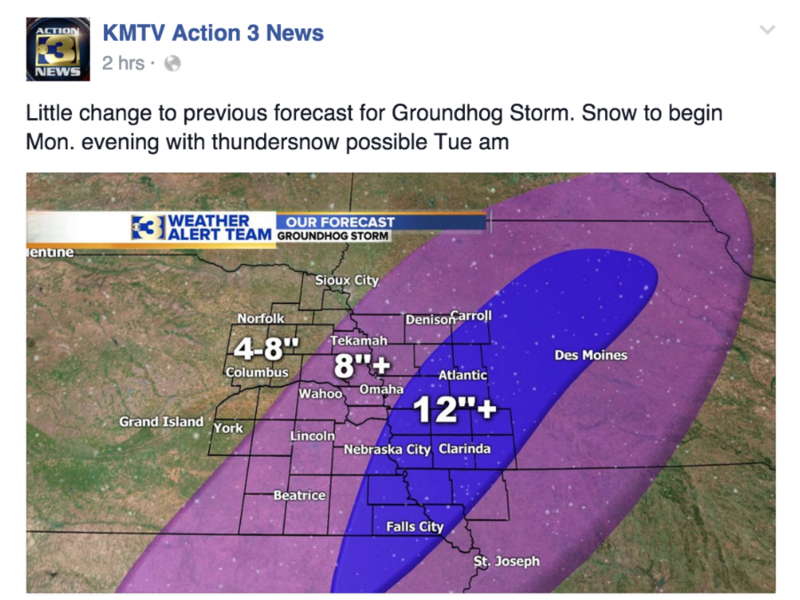 KMTV in Omaha, Nebraska is forecasting more than a foot of snow in some places.